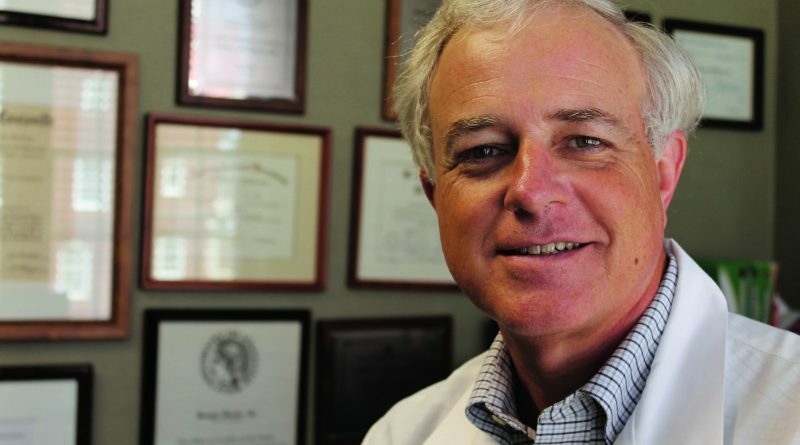 LOUISVILLE With only a handful of dermatologists in the Commonwealth specializing in patch testing, chances are you already know Joseph F. Fowler, Jr, MD, of Louisville-based Dermatology Specialists, as the doctor who manages those very difficult skin rashes. Allergic contact dermatitis, atopic dermatitis (eczema), and psoriasis top your list of referrals, but it’s really an expertise in contact dermatitis that makes up Fowler’s claim to fame. For the past 28 years, Fowler has honed an expertise in the diagnosis and treatment of contact dermatitis that has garnered international attention. Pharmaceutical corporations contract with him for clinical research and consulting, and, active in teaching and lecturing, Fowler is often seen leading trends in the clinical care for chronic dermatitis. For patients and practitioners alike, treating chronic dermatitis can be a frustrating experience. There’s a sense of mystery to its causality that keeps us guessing as to the best path toward relief of symptoms. But, with specialized diagnostic techniques and access to hundreds of allergens, Fowler is able to steer patients toward a successful reduction in cutaneous allergy complaints. Without an accurate diagnosis, many patients experience long term, persistent allergic contact dermatitis. To combat this, Fowler employs a systematic, inquisitive approach to first identify the offending compounds and then eliminate those allergens and their symptoms from the patient’s daily routine. With patch testing, he identifies the cause in most of his cases. He says, “About 70 compounds have been identified as contributing to over 90% of the allergies we see in the US. These make up our routine test kit. There are some exceptions, for example, for people of certain occupations or people with specific hobbies – like hairdressers or woodworkers – who may be exposed to specific occupational or recreational allergens. For most patients, the real treatment for allergic contact dermatitis is to avoid the cause. Medical management through corticosteroids, topically or internally, may help while patients are working toward this goal or if they are unable to avoid contact with the allergen. “The problem is, those are only for short term use,” cautions Fowler. 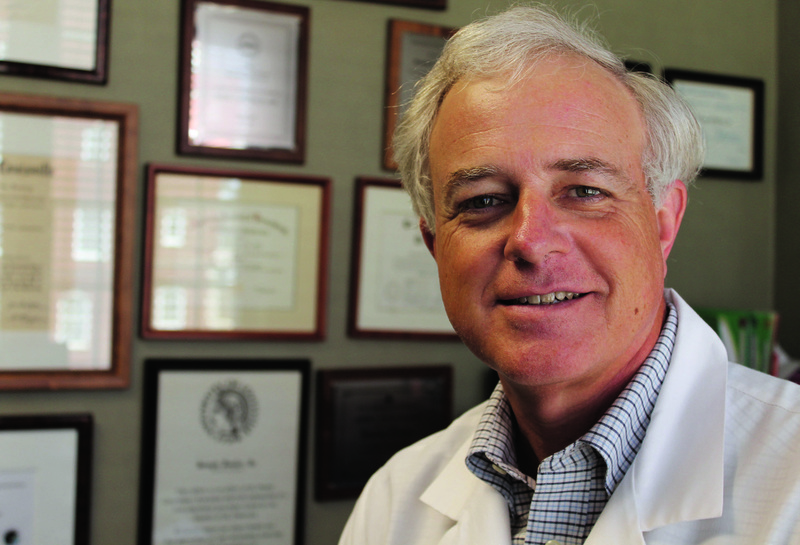 “Any time a patient has chronic dermatitis that either doesn’t respond well to treatment or that requires systemic corticosteroids beyond a reasonably safe level, that patient ought to get patch tested.” Indeed, when creams can’t do the trick, doctors from across the region refer their patients to Fowler for his patch testing expertise. Patch testing, of course, involves the systematic exposure to known allergic compounds in order to test by observation the emergence of a cutaneous allergy within a few days of application. Most common allergens here in the Commonwealth are discovered through the application of the 30-sample TRUE Test, and still more specialized compounds can be applied. The test is rather straightforward; it’s the specialist performing the test that’s unique. With an expertise built up over decades of research, Fowler has access to hundreds of chemical samples that make his test kit far more effective for the elusive allergic contact dermatitis diagnosis. As part of a well-rounded medical dermatology practice, Fowler sees an interesting overlap in the dermatological and immunological allergy of eczema, or atopic dermatitis. This condition is not primarily an allergic contact process but rather a genetic defect causing a poor cutaneous barrier function. Skin affected by eczema can be dry and susceptible to irritation. Fowler emphasizes that there is a significant difference between medical dermatological treatment of cutaneous allergies and the work of allergists who treat respiratory or food allergies. “With contact dermatitis, there is no hyposensitization. There is no shot to prevent it. It is strictly a matter of identification and avoidance. Like with poison ivy, you have to know what to look for in the forest.” If Fowler finds that a person is allergic to a chemicals found in skin care products, for example, he coaches them to read labels on their soaps and shampoos to avoid the offensive substance, be it fragrance, quaternium-15, and another, perhaps less common allergen. With contact dermatitis, there is no hyposensitization. There is no shot to prevent it. It is strictly a matter of identification and avoidance. Like with poison ivy, you have to know what to look for in the forest. ← Is Retirement in Your Future?